Mummy Of 3 Diaries: Review - KidCam Is A Mothers Best Friend. Meet KidCam - a two- camera system designed for older, more adventurous children.It's ideal for keeping an eye on several 'little ones' all at once. It's equipped with two wireless cameras and a 4.3" split companion screen. KidCam allows mums and dads to see and hear their children from any room in the house and event he garden, providing constant reassurance at a range of up too 100 meters. It even works at night time. A quick look at the camera and monitor. 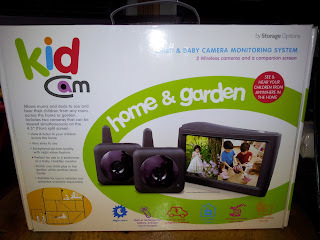 I've been using my KidCam (supplied free by Storage Options) now for several weeks and I must tell you that it's one of the best products I have ever tested! It has been such a god send for me and a real eye opener to say the least. I've been using one camera over my sons cot and the other in my girl's bedroom. When Ryan was born I bought a regular baby monitor which I payed around £50 for and never used. It used to just crackle as the interference was always too much for it to handle. A real waste of money as I hardly ever switched it on in the end. We used to have to keep all the doors open and listen out for him in case he woke up crying at night time which was a real nightmare. Since my KidCam arrived my nights have been so different. I can now sit peacefully and watch TV without having to keep the volume low enough to hear him. I now have my little monitor sitting next to me so that I can watch him Live as he sleeps. Here's a little video to show you what I can see when using the camera. It's really clear and allows me to see him perfectly. I can hear and see every little movement. It really is is fantastic and I really can't express this enough. My other camera is place in my girl's bedroom to watch what they are getting up too once I've put them into bed and then left the room. It's nice to actually see what's going on instead of having to listen to them telling and blaming each other on who's getting out of bed. The camera's can be attached to wall brackets and mounts which have sticky, suction pads on the ends of them which allows you to easily and quickly attach them to almost any surface. I've stuck them to windows, wardrobes and even mirrors. They're so easy to put into place and move as often as you need. I've tried the camera's in several locations within my house. They are great so many different situations. I use them to watch the kids when they are out in the garden or even just in the other room. With the two movable cameras I really do have eyes everywhere. The KidCam is an amazing gadget and really has made my life so much easier. I never have to worry about what they're up to behind my back again. 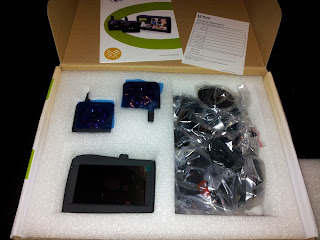 This KidCam costs £159.99 which is quite a high price but for the use and quality you will get. I must say, I think it's actually worth it. You can't put a price on peace of mind. I'm totally in awe of this product and really wish I had known about it last year. It would have saved me so much time and trouble of going up and down the stairs every night to check on my son. Now that I have a KidCam I can happily say that I would recommend it to anyone and everyone! Why Choose KidCam from Storage Options? - KidCam offers a simple and versatile method of seeing and hearing your children across the home and garden. Two compact wireless cameras transmit a clear, full colour picture (and sound) to a portable wireless screen from which the footage of both cameras can be viewed. Both cameras incorporate night vision, so they can be used in the dark to keep an eye on sleeping babies and children. Live Video - KidCam allows you to view live footage with sound from both wireless cameras transmitting to the split-screen display. Keep an eye on one set of children playing in the garden as well as others playing in the bedroom upstairs while you prepare lunch in the kitchen. Wireless Camera and Screen - You don't have to worry about running long wires between the cameras and monitor as both the camera and screen operate wirelessly. 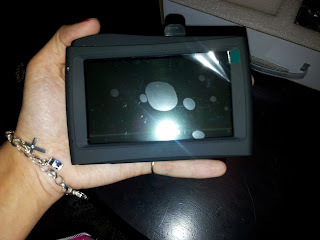 Images and sound are displayed on a portable 4.3" (11cm) screen with split screen display. KidCam is perfect for use in two bedrooms as a baby or toddler monitor. Night Vision - The camera is equipped with night vision, a handy feature allowing you see babies asleep in the cot or toddlers asleep in their rooms without having to frequently go in and check on them. Just switch on the cameras in the rooms before you put the children to bed, turn on the split screen display in the living room or bedroom and sit back with the reassurance that can easily check all is well. 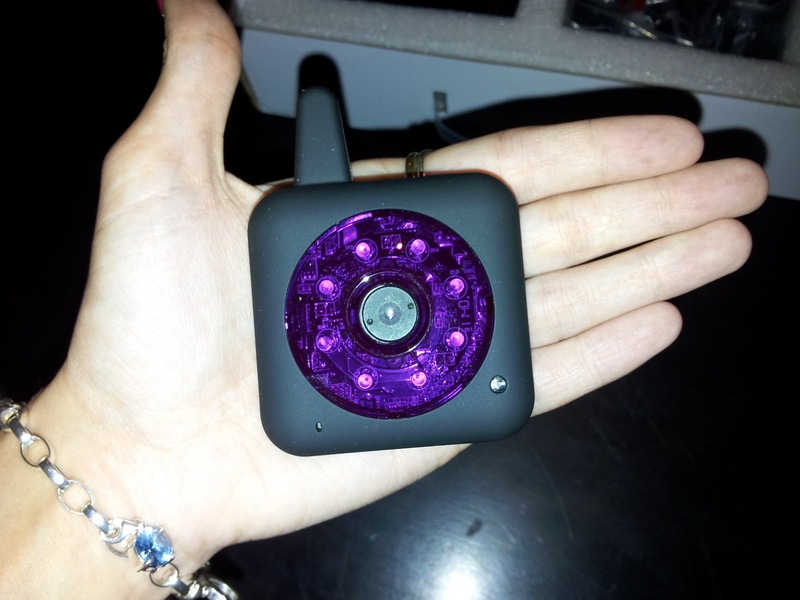 Portable or Wall Mountable - KidCam is very portable and easy to setup and use. It has an unobstructed range of 100m and comes with suction mounts and stands for the two cameras as well as a screen stand, allowing you to fix them anywhere in the house. Position them wherever gives you the best view of the rooms you want to watch. You can mount it on the wall out of the reach of children, to avoid them tampering with it. Car Adapter Kit - A car adapter kit is also available separately to allow use within a vehicle whilst driving. No more looking over your shoulder to see what the kids are up to whilst driving! Perfect for viewing children in two rows of a 4x4 or MPV. Drive safely with KidCam. Power Supply - Kidcam has built-in rechargeable batteries that last up to 3 hours once fully charged. Three power adapters/chargers for the cameras and screen are supplied, for charging the device or powering it via the mains supply. If you love the sound of KidCam but think it might be a bit too expensive for you then check out Storage Option's BabyCam Car for £99.99 or their BabyCam Nursery for £119.99. These are exactly the same great quality as the KidCam but they just have one camera instead of two. Mummy Of 3 Diaries gives KidCam by Storage Options a HUGE 5/5. How could a KidCam change your life?